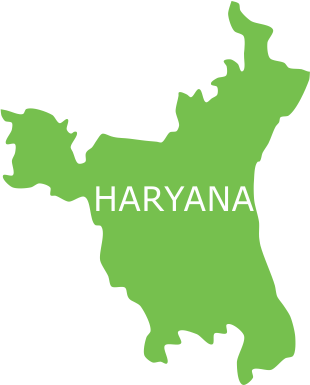 With close affinity to the national capital, Gurgaon (Haryana) has witnessed rapid urbanization and is now a financial and industrial hub with the third highest per capita income in India. But the condition is very different for the less privileged strata of the society which lies neglected in the absence of even basic amenities. When it comes to health, the major portion of this segment – wage labourers working in the unorganised sector, have neither means nor awareness to avail of the mainline medical facilities which throng the city. To address the urgent healthcare needs of the neglected populace in Gurgaon, Smile Foundation launched Smile on Wheels mobile hospital programme, with the support of Ericsson India Global Services Pvt. Ltd. on 9th October. The project provides doorstep preventive, curative and promotive healthcare facilities in 11 slum communities spread throughout the city including Ghata village, Basai slum, Sarai village, and Rajiv Nagar, which have been identified as the most downtrodden areas. Various disease patterns have been detected and successfully treated in the population ranging from diarrhoea, arthritis and skin infections to more serious ailments. Other than this, special awareness sessions are held from time to time on important health related issues for the people. Community mobilizers and volunteers make regular home visits and conduct follow ups of the treatment given. ANC and PNC are essential priorities of the project centred on making mothers and children healthier. The SoW team has been working tirelessly and the project has already begun to show positive results. 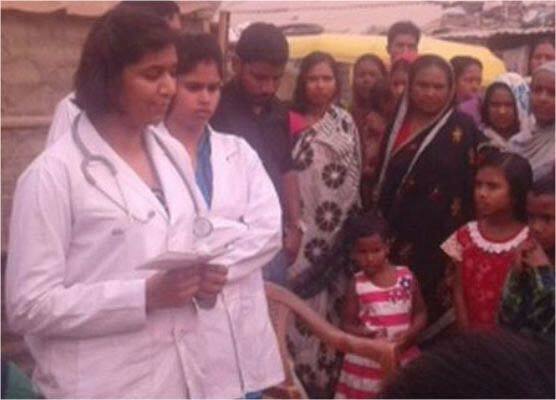 The community has become aware of and responsive to its healthcare needs and women are now no more hesitant to avail the health counselling and services. The project covers a population of 16,000 annually in 11 neglected slum locations including Ghata village, Basai slum, Sarai village, Shetla colony, etc. Regular health checkups and pathological checks are conducted ranging from tests for dengue, malaria, diabetes to haemoglobin tests etc. More than 14 disease patterns have been identified in the target population and treated with efficiency. SoW is acting as bridge between community and government by referring patients for specialised treatments of nearby government health facilities. Awareness programmes on HIV, TB and other basic hygiene issues, targeting mainly students through school health programme, are held regularly to maximize change at the grassroots. 941 PATHOLOGICAL TESTS WERE CONDUCTED SO FAR.